Oswego County continues its bicentennial celebration in Fulton, N.Y., with events that offer something for everyone to enjoy! 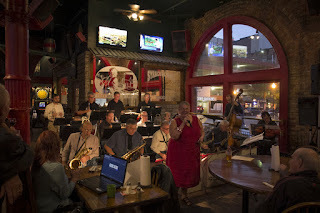 Salt City Jazz Collective delivers the big band sound. On Friday, come to the War Memorial on NYS Route 3 to kick off the eighth annual Fulton Jazz Festival! 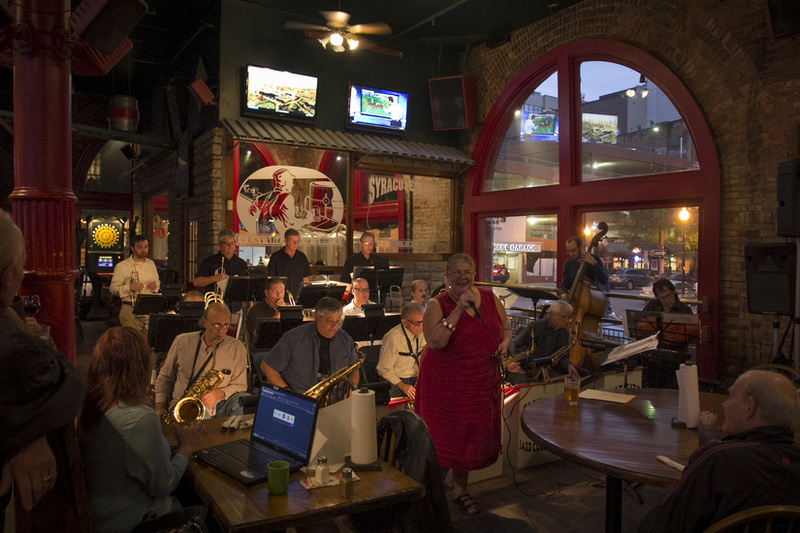 The 16-piece Salt City Jazz Collective brings the big band sound to the stage at 5 p.m., followed by the jazz and funk rhythms of the Longwood Jazz Project at 6:30 p.m. Fan favourite Atlas, who have opened for the likes of Patti LaBelle, Michael McDonald, and Earth, Wind & Fire, performs at 8:30 p.m. 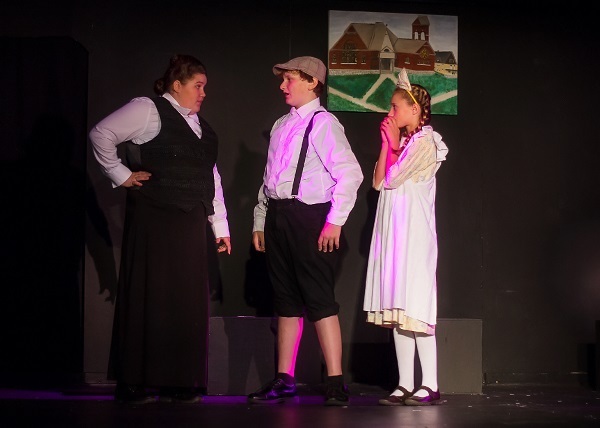 The CNY Arts Center in the River Glen Plaza on NYS Route 481 presents its production of "Pollyanna" at 8 p.m. 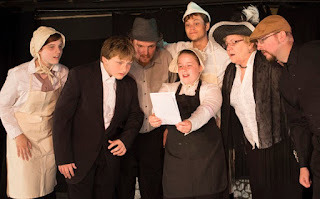 The cast welcomes all to come to 'Glad Town' with this family musical based on the 1913 novel by Eleanor Porter. Follow the antics of the ever-hopeful orphan girl Pollyanna who teaches an entire town to smile in the face of adversity, just as her father taught her with the 'Glad Game.' Photos courtesy of Nancy Fox of the CNY Arts Center. Fultonville townsfolk receive word of Pollyanna's arrival. Aunt Polly confronts Jimmy Bean and Pollyanna. ﻿﻿This production; however, is set in Fulton, N.Y. (Fultonville) and features several pieces of artwork in the background that reflect its past. In commemoration of Oswego County's bicentennial this year, artist Melinda Lamb was commissioned to create five paintings from a series of historic postcards. Some of the locations may be familiar to the audience such as the Fulton Public Library and John Wells Pratt House Museum. Other pieces feature a street scene from 1909, a former church that was located on the corner of West First Street and NYS Route 3, and a gazebo that once stood in Voorhees Park where many community events were held and also serves as the backdrop for the Independence Day picnic shown in the production. Historic postcard features gazebo in Voorhees Park, Fulton, N.Y. Audience members will be able to bid on each of the five paintings in a silent auction throughout the weekend. The proceeds from the sale will fund arts programming and the pieces will be awarded following the final performance. 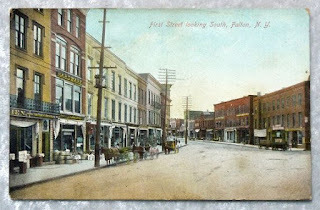 Historic postcard features view of First Street looking south in Fulton, N.Y.
On Saturday, return to the War Memorial for the Arts and Crafts Festival from 10 a.m. to 7 p.m. Browse original pieces of hand-made artwork from local artists. Get a free vendor passport at the fair information booth and begin your journey through the festival. Receive a stamp at each booth (no purchase necessary) to be entered in a drawing for a getaway at Chase Lake Lodge in the Adirondack Mountains. The "Tale of Two Bridges" Fun Walk begins at 10 a.m. from the War Memorial. Come as you are, in costume, or with a team of friends to join the fun and support the arts. Take a relaxing stroll around the two bridges of Fulton to learn more about local history in the county's bicentennial year and raise money for arts programming. Prizes will be awarded at 1 p.m. based on the most funds raised (individual or group), most artistic or creative (individual or group), largest community group, and best team spirit. Representatives from Home Depot lead a free woodworking project for kids and their parents from 3 to 5 p.m. at the War Memorial, while the Jazz Fest resumes at 4 p.m. with the 17-piece FreeFall Jazz Orchestra led by Stan Gosek. Trumpeter and vocalist Jumaane Smith headlines the 2016 Jazz Festival. Photo courtesy of Jumaane Smith. 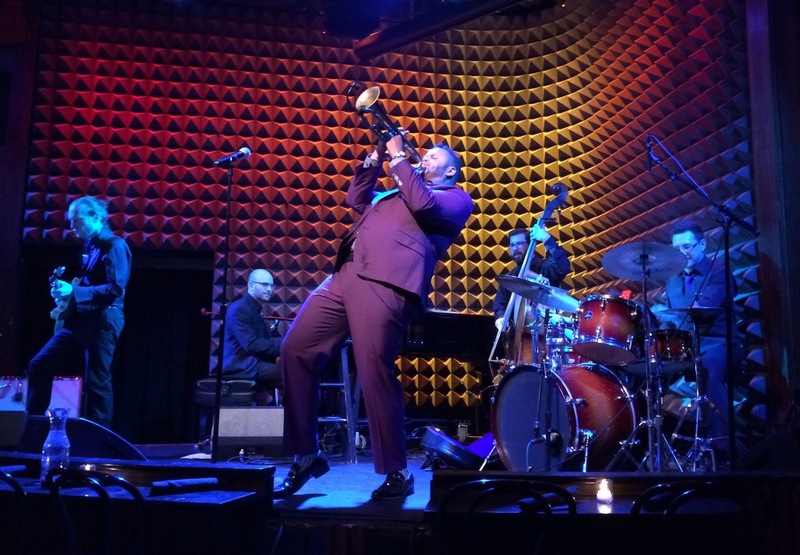 Headliner Jumaane Smith and drummer Carmen Intorre take the stage at 6 p.m. Smith is a trumpeter and vocalist who trained at The Julliard School and with jazz great Wynton Marsalis before touring and recording with Michael Bublé for the last decade. He was a special guest soloist and opener for Jackie Evancho on her "Songs of the Silver Screen" world tour and has worked with Quincy Jones and Herbie Hancock. He has also performed on the Grammy Awards with Stevie Wonder, on American Idol, and at the White House. 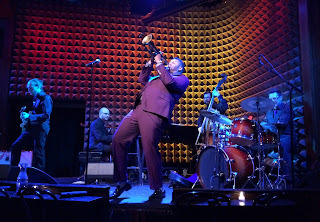 Grammy-nominee Intorre is also Julliard trained and participated on "Legends of Jazz," a program for PBS. He has worked with a variety of acclaimed musicians, including George Benson, Larry Coryell, Wynton Marsalis and Monty Alexander. Classified closes out the show with their 8 p.m. performance. Known for their swinging sound, the band has performed around the world with artists such as Jason Marsalis, Eddie Money, KC & the Sunshine Band and The Pointer Sisters. 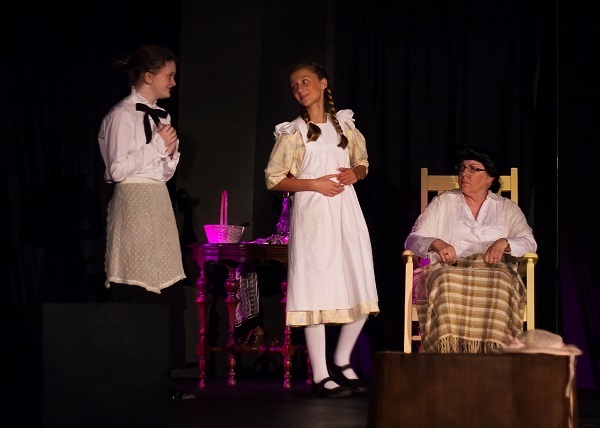 "Pollyanna" returns to the stage at the CNY Arts Center at 8 p.m. on Saturday and again at 3 p.m. on Sunday, after which the set paintings will be awarded in the silent auction. Admission is free to the Jazz Festival and Arts and Crafts Festival. Tickets to see "Pollyanna" are $12 for adults, $10 for seniors and students, while children age 5 to 9 'pay their age.' For details, visit www.facebook.com/Fultonjazzfest/ or www.cnyartscenter.com. For more great summer events, go to www.visitoswegocounty.com.